So due to some unforeseen circumstance in the past ~year or so… I was unable to continue contributing to my pride and joy Kubicorn! It’s been a real bummer, but I am glad to say that those days are officially behind me! The good news? I am back! And we are working hard on making kubicorn even more amazing! So without further delay, let’s start looking into what I wanted to update everyone about kubicorn. Kubicorn is a Kubernetes infrastructure management tool! These patterns are fundamental to understanding cloud native technologies, and (in my opinion) are the future of infrastructure management! TLDR; It’s a badass command line tool that goes from 0to kubernetes in just a few moments. The cluster API is an official working group in the Kubernetes community. The pattern dictates that while bootstrapping a cluster, kubicorn will first create the Kubernetes control plane. Then kubicorn will define the control plane itself, as well as the machines that will serve as the nodes (workhorses) of the Kubernetes cluster. Finally, kubicornwill install a controller that will realize the machines defined in the previous step. This allows for arbitrary clients to adjust the machine definition, without having to care how kubicorn will autoscale their cluster. Autoscaling infrastructure, the kubernetes way! So this is an official working group of Kubernetes, and more information can be found here! We are currently working on building out this framework, and if you think it is a good idea (like we do) feel free to get involved. So many thanks to Ellen for her hard work in building out our fabulous site. If you would like to contribute please let us know! Despite my attempts to keep the project as one of my pets, it’s just gotten too big. It has now moved to it’s own organization. We would love for YOU to get involved. Just open up an issue or contact Kris Nova if you would like to join. Writing the infrastructure controller is probably the most exciting thing to happen to the project yet. We literally JUST started the repository. Get in now, while the getting is good! We need help with the Dockerfile, with the idea behind the controller, and even with the code to make it so. If you wan’t to get involved, now is your chance! Our lead maintainer Marko started out as someone on the internet just like you. He is now a super admin of the project, and is a rock star at keeping up with the day-to-day work of kubicorn. We would love to help you become a cloud native badass if you would like to contribute. Please join the slack channel and start talking to us. My contact information. This will make more sense later. Like all good blog posts. This too started out as a tweet. The conversation was regarding me changing my Twitter handle, and Justin was bringing up a great point. Which is that my Twitter handle is hard-coded all over the internet. My engineer brain instantly started to draft up solutions to this problem, as I realized this was the perfect use case for pointer pointers! Now if you are new to pointers in Go don’t worry. Pointers are easy. Just think of pointers as URLs! Seriously, a URL is just a pointer to a web page. In this case the URL itself (say https://nivenly.com) is the address and whatever the web page returns is it’s value. See? Pretty easy right. I told you pointers were no big deal. So in the case of changing my contact information, let’s take a look at how things are today. Notice how in this model, if I need to revise my contact information I would need to go an update every page on the internet that has my contact information linked to it. If we had a pointer page we could safely hard code all the pages on the internet to one page that I control. Say a page on my blog for instance. Then if we needed to update anything all we need to do is update the pointer page. In this model, we no longer need to make a change to the web page on the internet as it will also be pointing to the pointer page. Below is a concrete example of pointer pointers in Go, using the use case from the tweet. Needing to change your twitter URL without changing the higher level implementation. // can change it right from underneath you! Run it on the Go playground! So a huge thanks to Hashiconf for letting me come out and talk about this stuff in person! But for those of you who missed it, or want more information there is also this blog on the matter as well. So this is just a quick technical follow up of the tool terraformctl that I used in my session to get Terraform up and running inside of Kubernetes as a controller! A command line tool and gRPC server that is pronounced Terraform Cuddle. The GitHub repo can be found here! It’s a philosophical example of how infrastructure engineers might start looking at running cloud native applications to manage infrastructure. The idea behind the tool is to introduce this new way of thinking, and not necessarily to be the concrete implementation you are working for. This idea is new, and therefore a lot of tooling is till being crafted. This is just a quick and dirty example of what it might look like. Terraformctl follows a simple client/server pattern. We use gRPC to define the protocol in which the client will communicate with the server. 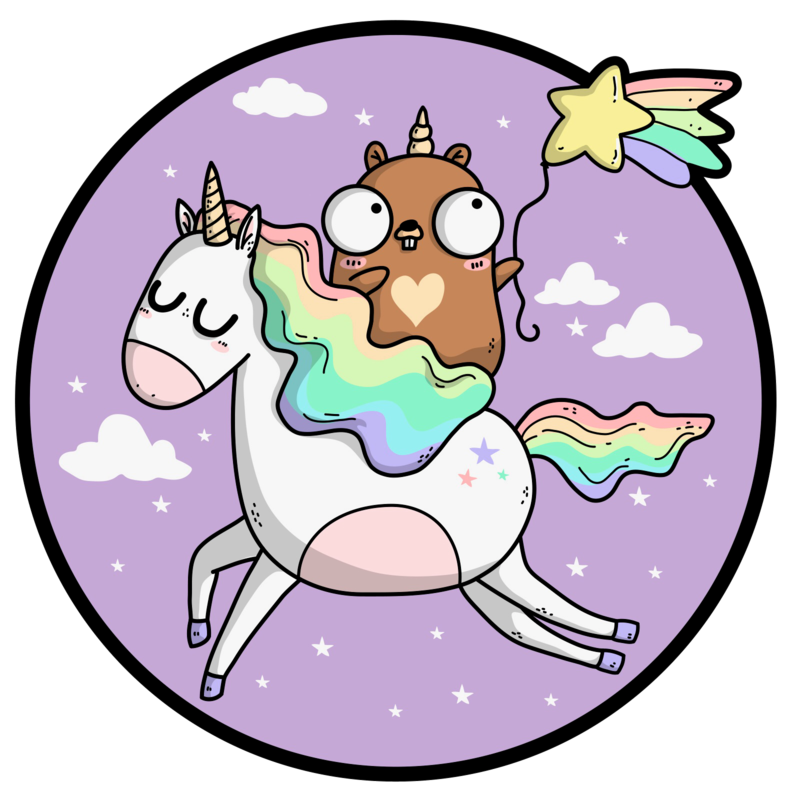 The server is a program written in Golang that will handle incoming gRPC requests concurrently while running a control loop. The incoming requests are cached to a mutex controlled shared point in memory. The control loop reads from the shared memory. Voila. Concurrent microservices in Go! What is cloud native infrastructure? Well it’s this crazy idea that we should start looking at managing cloud native infrastructure in the same way we manage traditional cloud native applications. If we treat infrastructure as software then we have no reason to run the software in legacy or traditional ways when we can truly concur our software by running it in a cloud native way. I love this idea so much that I helped author a book on the subject! Feel free to check it out here! The bottom line is that the new way of looking at the stack is to start thinking of the layers that were traditionally managed in other ways as layers that are now managed by discreet and happy applications. These applications can be ran in containers, and orchestrated in the same ways that all other applications can. So why not do that? YOLO. Terraformctl is not (and will never be) production ready. It’s a demo tool, and it’s hacky. If you really want to expand on my work feel free to ping me, or just out right fork it. I don’t have time to maintain yet another open source project unfortunately. Terraformctl is not designed to replace any enterprise solutions, it’s just a thought experiment. Solving these problems is extremely hard, so I just want more people to understand what is really going into these tools. Furthermore there are a number of features not yet implemented in the code base, that the code base was structure for. Who knows, maybe one day I will get around to coding them. We will see. If you really, really, really want to talk more about this project. Please email me at kris@nivenly.com. A well written sorting algorithm is hard to replace, and typically the ones that have been battle tested will stand the test of time and stick around for a while. The Go programming language offers a clean abstraction on top of a commonly used sorting algorithm. With the sort package in the standard library a user can sort arbitrary types in arbitrary ways using a time-proven sorting algorithm. The way Go has set this up for us is by defining an interface called the sort.Interface. The rule is that as long as a type implements to this interface, it can be sorted. The interface definition can be found here. The interface defines 3 functions, all of which are critical to the success of the sort. The sort works by dividing the length of a collection by 2. So we need a way to determine a length (or size) of a collection. Think of this like the len() function in Go, and usually the len() function is appropriate to use here. Go takes the sort abstraction one step further, and also makes the user define a Swap() function. This is called after Less() returns false and the algorithm understands that a change is needed. In Go however, you can make Swap() do whatever you want in this case. A very basic example of defining a sort.Interface implementation is to create an integer alias in Go, and implement the required functions. This implementation can now be passed to sort.Sort() and sorted on. A full working example of an integer sort with sort.Sort() can be found here in the Go playground, or my raw source here on GitHub. Below is an example of sorting on a collection of custom types, and using the utf8 package to sort on the int32 value of a rune. This is important because it demonstrates how a user might want to sort on a “calculated” value instead of a literal value. A user can implement any logic they wish in Less() or in Swap() giving the user a powerful opportunity to build quick and efficient sorting program on any type they can dream of. This is useful in situations where the logic for what a user wants to sort on, might be something different than a simple numerical or alphabetical sort. As always you can run the code in Go Playground, and also see the raw source in GitHub. The Go programming language offers a familiar and clean abstraction for sorting on arbitrary types and with arbitrary logic. The user can implement any logic they wish in regards to what the sort will use to sort on. By offering the underlying algorithm and defining the sort.Interface the programming language helps us build powerful sorting programs without enforcing a single opinion on what the algorithm should do but rather how to do it. I wrote a writeup on the C implementation of Go plugins in Go 1.8 with a proof of concept code, and examples on how to demonstrate the functionality.